The Redwood trees are back. Some Big Redwood trees you can place them on your map. 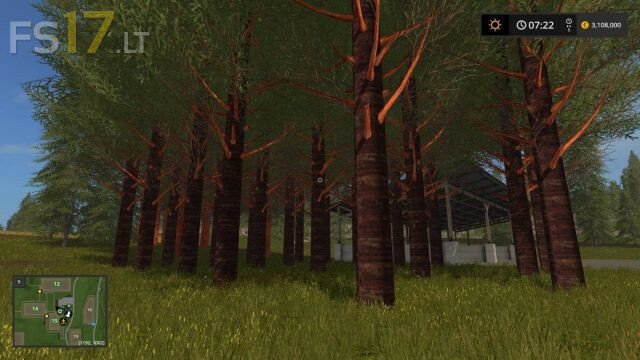 For the ones that don't know this but in farming Simulator 17 on the placeable trees after you cut them down and load them on the trailer and strap them on and if you save and leave the game then come back later to your saved game you will no longer be able to strap the logs down that you have cut how to get around this is to place them in your map mod with in the i3d editor then all will work fine.